Take down the evil Solomon Dark in Solomon’s Keep. Fight the dark monsters and cast magic spells to survive. Collect gold and trade for new skills and valuable potions. Solomon’s Keep is a really unique dungeon crawler featuring an epic story line. You are about to graduate from the Wizarding College and you last assignment is to take down the evil Solomon Dark who sits on a throne in his huge castle. As you fight the enemies and gather gold, the game brings unique adventures for you to embark on. You get to choose a wizard from four different characters, each having their specific set of skills. After that, you will be assigned missions from the Wizarding College to explore different dungeons crawling with monsters and make your way to the Solomon Dark. You get to fight various monsters as well as loot treasure chests for valuable gold along the way. Moreover, you can always return back to your safe zone during a mission to learn new skills and upgrade your wizard character. The controls of the game are quite fun and easy to get a hang of. You can move your character with an on-screen joy pad and can cast magic spells at the incoming monsters with the help of simple tap controls. Moreover, you also get to interact with treasure chests, locked doors and other characters in the game by simply walking up to them. This keeps the game controls very simple and the game play quite fun. 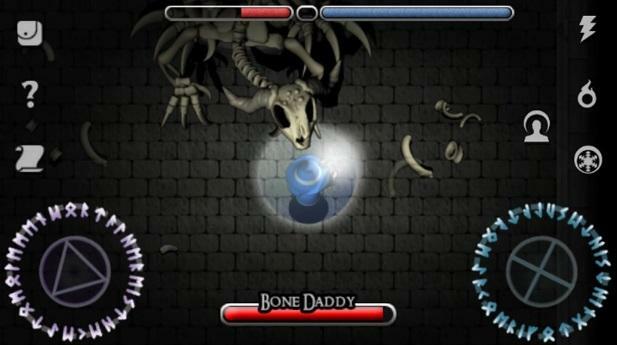 You can also use handy skills and boosts in the game that can help you fight the toughest monsters in the dungeons. These skills include magic missiles, magic shield, chaining and more. Moreover, boosts are also available like health potions, magic rings that can increase your damage resistance and other wizarding objects. You will have to trade gold in order to learn new skills, level them up and buy the valuable boosts. The game also features an inventory that you can use to utilize the health potions and other boosts that you have purchased in the game. Solomon’s Keep features some really awesome graphics. The game includes stunning visuals with the smoothest game physics that makes the game play look excellent. Moreover, all the wizards as well as the monsters have been brilliantly detailed. 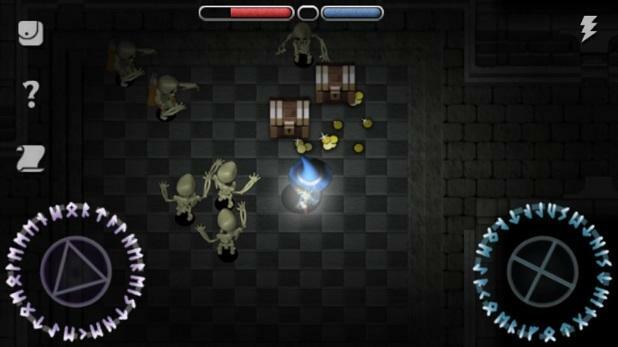 You also get to enjoy amazing sound effects and background tunes that make the game play even more fun for the players. With such brilliant graphics and a unique game play, the game is a complete package of entertainment that will never let you get bored anytime soon. Graduate from the Wizarding College and complete your final mission of taking down the evil Solomon Dark. 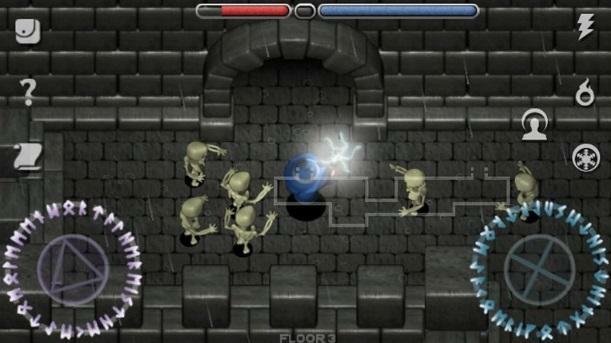 Fight off his evil guard monsters and cast magic spells to defend yourself. Loot treasure chests for gold and gems and trade them to learn cool skills. Purchase health potions, magic rings and much more. Try out Solomon’s Keep for some unlimited entertainment.